Wow this would be really great for travelling! I love how sleek it looks and the anti-theft design is awesome and can give me peace of mind when I travel! I'll have to check this out on amazon! I'm looking for a new travel case for my laptop! I love it! The clean design is awesome and the anti-theft feature def a plus as I carry my backpack everywhere. That's a lovely looking backpack. I love the clean lines on it! Anti-theft backpacks are great. I bought one for my kid last week. He feels so safe now. This is the perfect bag for travel! I'm especially interested in the external charging ports! That would make everything so much easier. I love this back pack! perfect for travel and it looks have a good quality and very safety to use. Love the safety and comfort features! Will be helpful for long distance travel. I need to get one for when I am traveling. I always have my laptop when we are traveling and worry about it being stolen. Tech items are expensive. 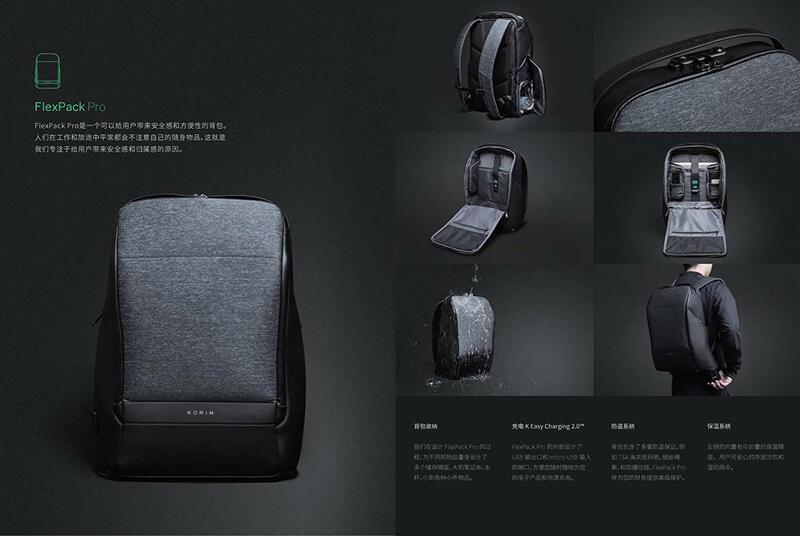 This anti-theft backpack would be great for anyone. This is such a great backpack. I've purchased security bags before and haven't found anything like this. That's a lot of space and some great place to tuck things in. I would like this for when I travel. I like the design and it looks comfortable. This is amazing; especially for people that travel a great deal. The extra security and peace of mind would be fantastic. I would so love to win because it would be a birthday present and an anniversary gift all in one because I am going out of town for I have sick family member! Thanks for the chance to win!!! This is awesome it will be an anniversary/birthday in one since I have to go out of town for a sick family member! I would love this for my laptop and personal things. I worry about being robbed or assaulted on public transportation every day. I definitely will check this out, win or not! Good luck everyone! I would love this, it looks useful. Summer vacay is right around the corner! This would be awesome to have. I really like the design of this backpack! This backpack looks neat! It is incredibly useful and the design is lit! This looks like the perfect backpack for my daughter! She would love this! My daughter would love to use this for school so nice looking too hold so many items she would love it. My son would love this. He travels for work a lot. I love this concept....security and convenience! :-) Thank you. That looks like such a fab backpack! I would LOVE to win it!!! I've never heard of this product before this post, but I think it's great and would come in handy when traveling. I'd love to win for my friend as a gift. I love everything about this bag, especially the external USB charging port. This would definitely be a must have for traveling. Love these types of bags. I'm always looking for a bag that is sturdy and my stuff will stay protected in. Love the color/design of it, too! This looks fantastic! I never take my laptop along when I take my Dad to appointments for fear it will get stolen. This would make me much more productive during those long doctor office waits. What a cool idea. I love all the extra features that come with this backpack too. 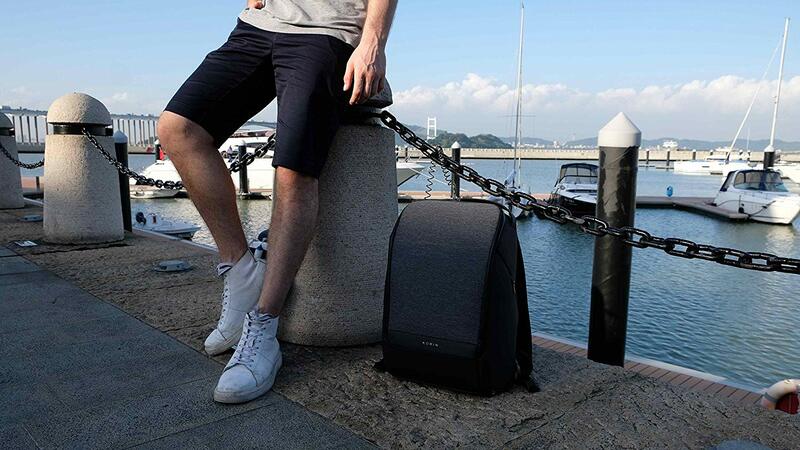 A sleek bag to protect electronics. This is truly an amazing backpack! I can't believe it has usb charging ports, and that I can put a wet umbrella in it too. Super convenient. I would use this bag on my next backpacking adventure. What an excellent idea. Great for anywhere! I like the, Premium padding and breathability in shoulder straps with horizontal chest strap to reduce load and stress. We travel alot and I didn't think about something like this. It perfect to keep everything safe and secure.